Posted on March 18, 2015 by Veena S.
Have you ever been to Crawford Market,Mumbai? Intense action, vivid colour and freshest groceries is a promise. This article from Hindustan Times brought back to me some sweet childhood memories. Imagine a girl, accompanying her mother to a very busy street market, in the very heart of old city, Mumbai. She is tagging along, holding the end of her mother’s saree pallav, in a bid to keep firm contact with her mother. Yes, that’s me! As a girl, I loved visiting markets, carrying shopping bags and watch my mother haggle over prices. Crawford market, is one such place. A haven for the Mumbai women, mostly Gujarati, Marathi and Rajasthani communities. They sourced the most competitive and fresh produce of seasonal mangoes raw ones for pickle, and ripe ones for a summer treat and chillies and lemons. Then, laboriously taking home few bags, they cleaned, cut and mixed them with spice. Fresh aromatic pickles were ready – bottled and stored in ceramic jars. 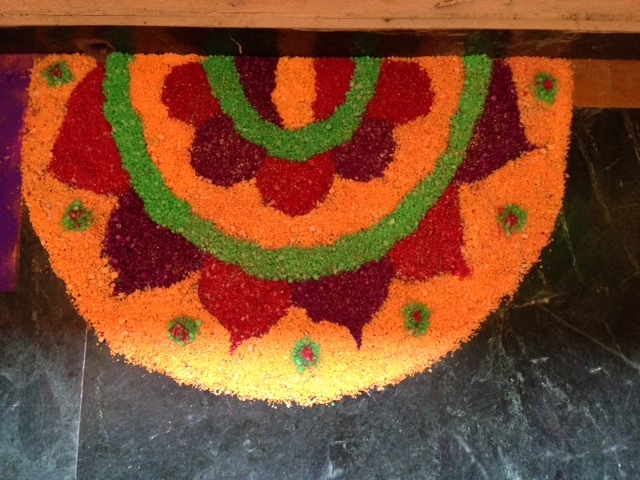 Yumm….deliciously tangy,spicy and colourful! Now,enjoy the article describing Mirchi Galli, or Chilli street. I promise to share a simple chilli /ginger pickle with you in due time. Have you read my earlier post on Mumbai: the city with a heart? Want to Buy some Chilli? Posted on March 4, 2015 by Veena S.
Recently we visited the oasis city of Al Ain, UAE. The camel souq or market, provided an interesting and unique experience. “Yalla – yalla. Come, come, I show you camels” said half a dozen camel minders who suddenly descended upon us, as we parked the car. ” You take photo?”inquired another. ” Ok ..free..no fees” he said. The souq, the last of its kind remains popular with local Arabic traders and livestock breeders, as well as with tourists. The camel minders of course can make a quick guess who is a real buyer. 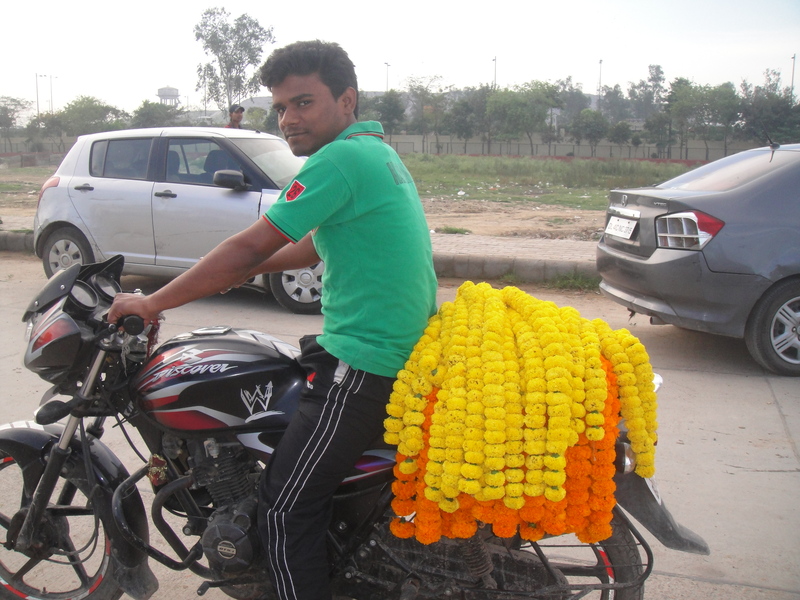 Situated behind the Bawadi mall, the market was humming with activity. Hundreds of camels crowded in various large cages, livestock of cattle, goats and poultry making animal noises at the other end. Large pick up trucks, visitor cars and vans carrying fodder, dry grass and sundries all making a beeline towards the souq in the morning. Off the dusty roads and sandy patches, braving the scorching summer sun we arrived here for a traditional insight into Arabic and Bedouin culture. For isn’t the camel called the ‘ship of the desert.’? Domesticated many hundreds of years ago, by traders that undertook arduous journeys across the deserts of Saudi Arabia, camels were trained to carry date fruit and food, turn water wheels and navigate the sand dunes. Camel milk intake is popular in Bedouin culture, and recently found its way into Date milk shakes and ice creams. Bedouin warriors even rode on Arabian camels while engaging in battles during Persian and Byzantine wars! It was entertaining observing the animals. Camels came in different colours: soft cream, sandy beige, and dark brown. Some were standing tall, some sitting, some kneeling, others stretched out their long necks and moved their jaws ruminating on cud. Wobbled feet, tall thin legs, one hump ..such a queer sight! ‘You take photo?’ the camel minders lingered around us and pointed out cages they tended. 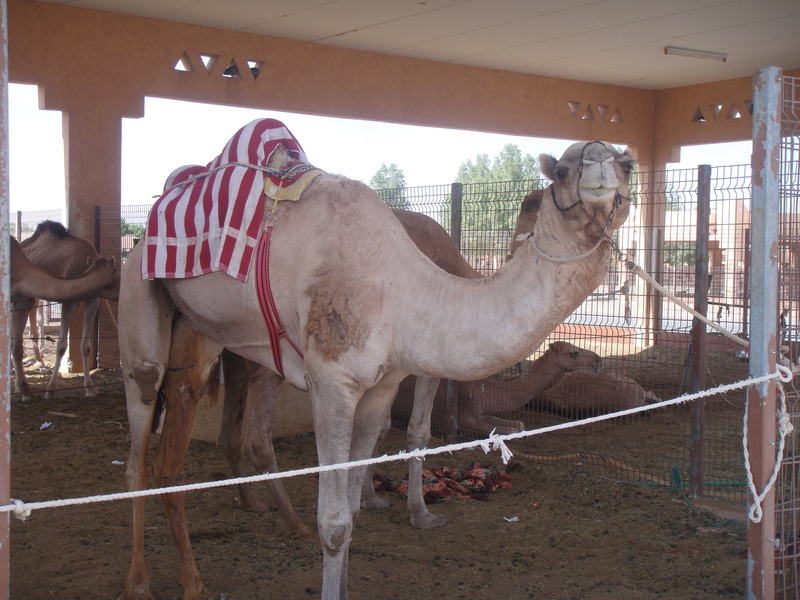 There were about 50 young camels, all ready for sale and dressed with traditional striped straddle covers. Age, gender,weight and a good breeding determine the sale price. True to Bedouin and Arabic culture, the keepers and other staff were very helpful and engaged in sharing their knowledge about the animals.Though camels have small ears, they are acute listeners, picking up distant sounds. Ears are lined with fur, helping to filter sand. Thick bushy eyebrows contrast with gentle doe shaped eyes. Thickened skin on bare spots develop on knees and chest, an essential natural cushioning for sitting, kneeling and resting in coarse sand. ‘Click, click, click’.my camera sounded. I had to make soak up this experience. Where else would I get this opportunity to stand so close and almost be kissed by a young camel? The young Sudanese men, dressed in traditional white dishadasha were confident to guide me for a ‘special’ close up photo…..for FREE! ‘ In Islam, Allah is known by 99 names. However, there goes a theory that there exists a 100th name, which is known only to camels! Hence, if you may have noticed, they always seem to have a knowing smile on their face. ‘Have you seen a Camel Beauty Contest?’ inquired the friendly camel minder. Al Dhafra, Western region UAE, is a must-see! Come winter, every year, 20,000 camels, well-groomed, well fed and dressed in colourful ethnic best, take part, vying for expensive prizes or even enter the Royal families entourage and collection! Light or Dark .What is your choice ? And this is what camels eat while in the desert: Bedouins feed them grains like wheat, millet, barley and oats and plenty of Date fruit. They are allowed to eat dry grass and thorny plants. But for a royal treat: let them munch on a platter of almonds and pistachios instead of fodder! Few days later, when we drove through the Liwa desert, camels crossing in a silent line painted a perfect, breath-taking picture, a deeper understanding of the animal and the cultural place in Bedouin life. Slow undulations across the sand dunes, as if telling us a story. And…we waved to the Bedouin mounted atop the camel hump, wishing him a smooth journey. 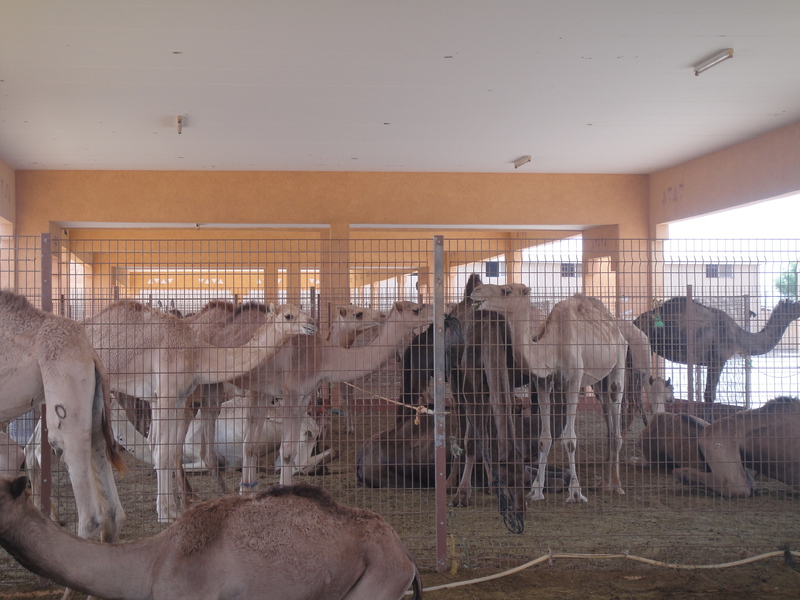 Have you ever visited a Camel Souq? Where ? What did you observe ?